Diwali is a Hindu festival of lights, celebrated with fireworks. 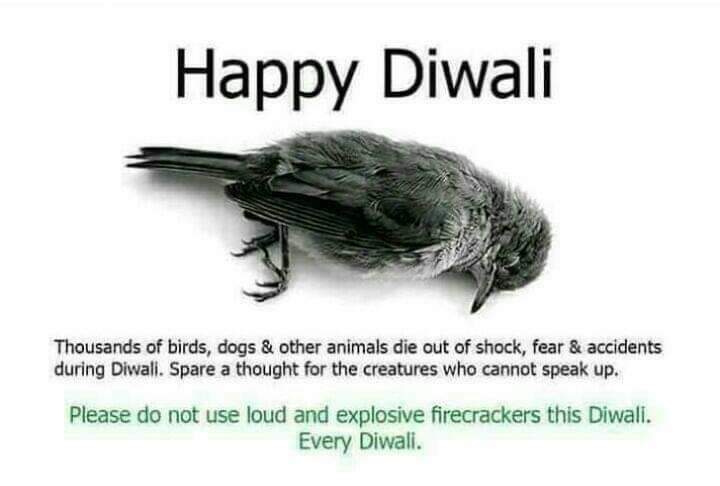 Thousands of birds, dogs & other animals die out of shock, fear & accidents during Diwali. Spare a thought for the creatures who cannot speak up. Please do not use loud and explosive firecrackers this Diwali. Are fireworks from the festival of Diwali killing thousands of birds, dogs and other animals? Browse other questions tagged biology zoology environmental-health .